1. How do we do it ? Through Amazon Smile program, a simple and automatic way for you to support Al-Islam.org every time you shop, at no cost to you. 2. How do I register for the Smile Program ? We refer you to https://smile.amazon.com/ch/41-1971730 to register. 3. 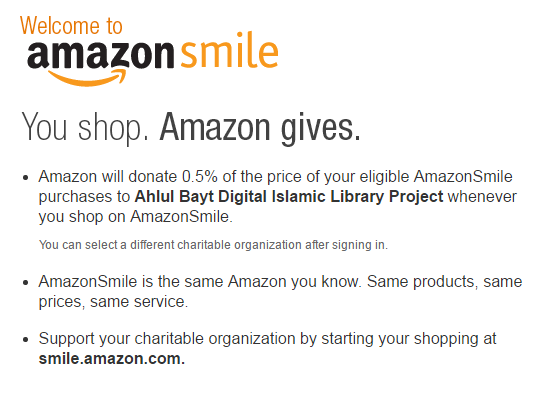 How much is my Contribution to Amazon Smile Al-Islam.org project ?